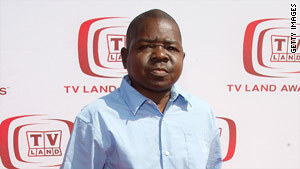 Actor Gary Coleman was divorced from his wife Shannon Price in 2008. (CNN) -- The hospital where actor Gary Coleman died said Thursday it confirmed his former wife had legal authority to authorize his doctor to disconnect his life support last week. Coleman's parents are working with lawyers to gain custody of his body, their spokesman told CNN. Coleman divorced Shannon Price in 2008, but he signed a document giving her power to make the decision, according to a statement from the Utah Valley Regional Medical Center in Provo. "Mr. Coleman had completed an Advanced Health Care Directive that granted Shannon Price permission to make medical decisions on his behalf if he was unable to do so," said the statement, which Price authorized. Coleman's attorney confirmed for CNN that the couple divorced nearly two years ago, but he did not know if they had remarried since then. Coleman, 42, and Price, 24, were living together in Santaquin, Utah, when he suffered a fatal fall last week. "An Advanced Health Care Directive remains in effect regardless of a patient's marital status, unless modified by the patient," the hospital statement said. The document was in effect when the decision to remove Coleman from life support was made last Friday, the hospital said. Coleman suffered from a brain hemorrhage from a fall at his home on May 26. He died two days later after he was removed from life support, a hospital spokeswoman said. While he appeared "lucid and conscious" Thursday morning, his condition worsened by the afternoon, leaving him unconscious and on life support, she said. He died Friday after he was removed from life support, she said. His parents, who live in Chicago, are hoping to learn more about how their son died, their spokesman, Victor Perillo, said. SInce Coleman was not married when he died, they believe they have a right to his remains, Perillo said. They are working with a lawyer to get the paperwork done so Coleman can be transported to Chicago, he said.